My dermatologist didn’t know much about my skin. She didn’t know that it needed to be understood, rather than fought. She often prescribed antibiotics that worked for most patients, not what worked best for me. 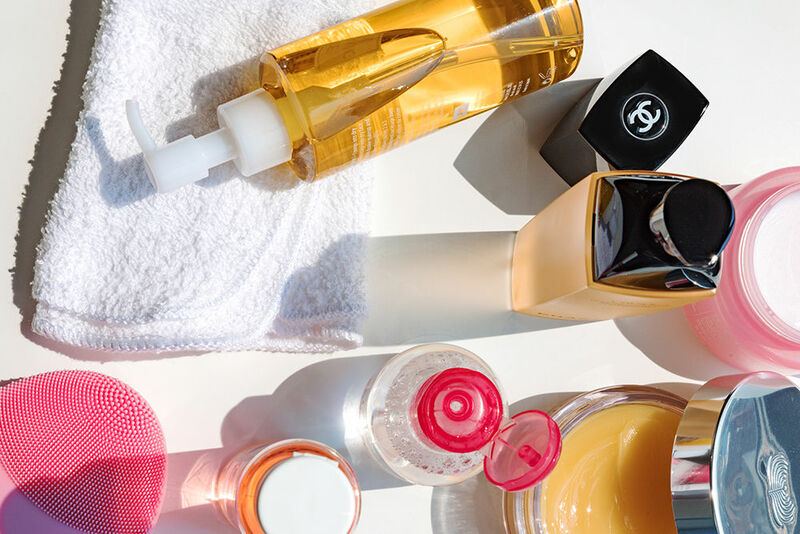 Trial and error is so exhausting, if you’ve had any sort of skin woes, you know what I mean. 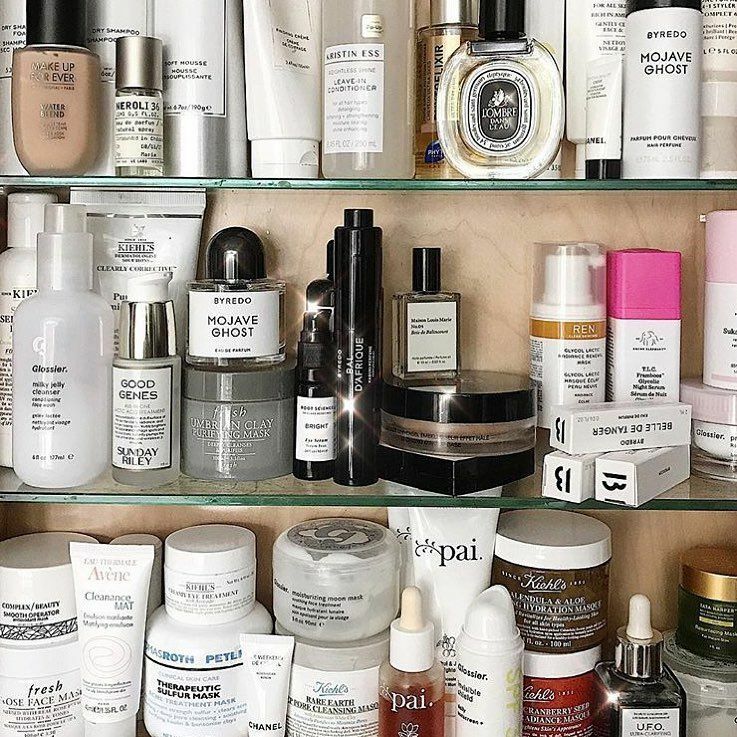 In most countries, over 50% of acne strains are resistant to antibiotics, so often times the number one way of treating acne has a 50-50 chance of working. Lately, research shows that striving for balance is the key to healthy skin. A combination of what you put in your body and what you put on your body = the gut-brain-skin axis (TA-DA!). Both of these things affect the bacterial community living on your body. Many of these natural bacteria are great for your skin. They protect your skin-barrier function, prevent breakouts, mitigate photo-aging and more. We’re supposed to have certain strains of acne on our skin as a protective measure against other harmful bacteria. How radical is that!? When your bacterial communities get thrown out of whack with antibiotics, makeup, and constant stripping -- that’s when things start to pop-off. Go back to balance.Probiotics are the commensal (think: inclusion riders) bacteria that promote that glow we so cherish. Take these orally or apply them on your skin. Life gets messy but, oddly enough, the more mess the better. It can help your skin bounce back. A commensal (hey girlfriend!) group of rod-shaped bacteria that naturally occur in the gut and on the skin. Reduces the appearance of acne lesions, as well as sebum production which leads to acne eruptions. On your skin and in your gut. Can also be found in topical and oral probiotic supplements. 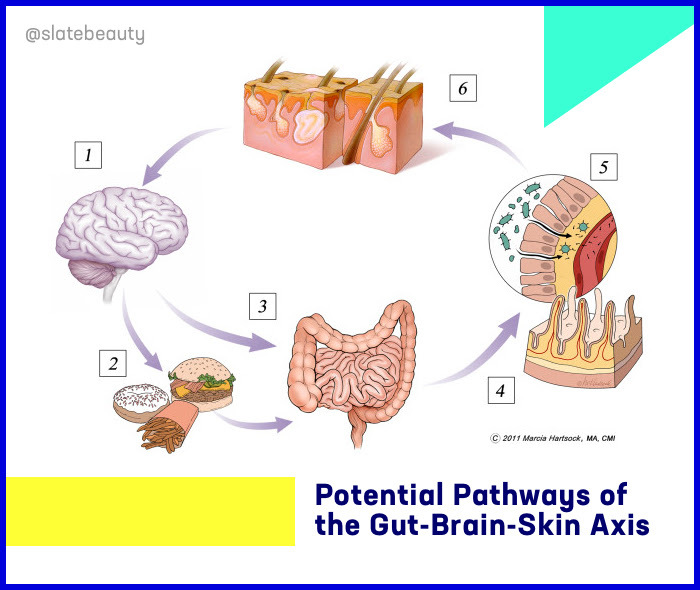 Gut-Brain-Skin axis: they way you think can change your gut bacteria and that internal environment can then affect your skin. This means you could literally change the way your skin looks by changing the way you think, by the way you eat and vice versa. The benefit of finding your center is that it can affect so much of your body, so namaste away. Taking antibiotics orally wipes out the bacteria in your gut, so instead of targeting the source of the problem, these medicines erase entire bacterial communities. The same thing happens on your skin when taking antibiotics for acne. Changing the bacteria in your gut can change your mood. Your mood can change your skin. Vicious cycle = Lather. Rinse. Repeat. Having the right mindset and setting the right intentions about your skin can go a long way. Less time being anxious about someone else's standards for your skin leaves more time to brighten that glow.